We have a couple of really exciting author events scheduled for next week at the Jean Cocteau. 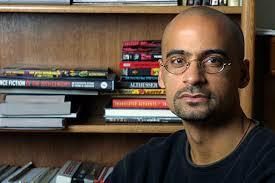 On Monday, April 21, we will be welcoming the Pulitzer-Prize-winning novelist JUNOT DIAZ, author of THIS IS HOW YOU LOSE HER and THE BRIEF WONDROUS LIFE OF OSCAR WAO, and other titles. The evening will start at 7:00 pm with a 90-minute interview of Junot, conducted by Doctors Shante Paradigm Smalls and Santiago Vaquera-Vasquez of the University of New Mexico. Dr. Smalls is a scholar and artist who works at the intersection of popular culture and critical theory. She is a professor at UNM in American Studies. Santiago Vaquera-Vasquez is "an unrepentant border crosser, ex-dj, writer, painter, and academic," and a professor at UNM in the department of Spanish and Portuguese. After the interview, we will adjoin to the lobby and bar, where Junot will sign copies of his books. 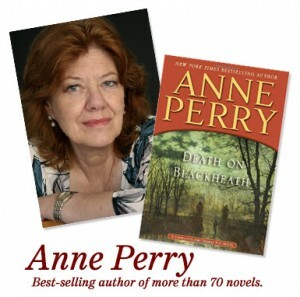 A few days later, on Thursday April 24, the bestselling mystery writer and historical novelist ANNE PERRY will arrive in Santa Fe, and the Cocteau will have the privilige of hosting her as well. Ms. Perry's awe-inspiring bibligraphy includes 19 volumes in her William Monk series, 28 in the Thomas Pitt series, as well as fantasies, YA novels, stand-alones, and Christmas books. Anne is on tour, promoting her lastest, DEATH ON BLACKHEATH. The event will start at 7:00 with an interview and dialogue, as usual. This time I'll be doing the interview myself. That will be followed by an audience Q&A and a booksigning, and we expect to have a WIDE selection of Anne's novels on hand. Admission to both events is FREE with the purchase of a hardcover book, $5 with the purchase of a paperback, $10 without a book purchase. Most of our past author events have been sold out, so if you'd like to hear Junot Diaz or Anne Perry, call the Cocteau at 444-5528 and reserve your place now. Movies are the heart and soul of the Jean Cocteau Cinema... but we love books too, and our author evenings have been hugely popular and will continue to be an important part of our schedule. In the months to come, we will be hosting MELINDA M. SNODGRASS, comic book stars CULLEN BUNN and BRIAN HURTT of SIXTH GUN fame, mystery/ horror/ SF star JOE R. LANSDALE and his daughter KASEY, author, editor, and country-signing sensation, DANIEL ABRAHAM (who is also half of JAMES S.A. COREY), Hugo-winning novelist JO WALTON, CHERIE PRIEST, JOE ABERCROMBIE, DENNIS LEHANE, and NEIL GAIMAN & AMANDA PALMER. If you'd like to know the dates and details, go to our website at http://www.jeancocteaucinema.com/ and sign up for our email newsletter, to keep abreast of what's coming up on Montezuma Street. All of these events are first come, first seated, and we do tend to fill up quickly. See you at the booksignings. This is off topic here. This is the section for comments about Junot Diaz and Anne Perry and the Cocteau's author program. Since a lot of people have been emailing me about this, however, I will reply... but please, take any further discussion of the show to one of the myriad on-line forums devoted to that. I do not want long detailed dissections and debates about the TV series here on my blog. As for your question... I think the "butterfly effect" that I have spoken of so often was at work here. In the novels, Jaime is not present at Joffrey's death, and indeed, Cersei has been fearful that he is dead himself, that she has lost both the son and the father/ lover/ brother. And then suddenly Jaime is there before her. Maimed and changed, but Jaime nonetheless. Though the time and place is wildly inappropriate and Cersei is fearful of discovery, she is as hungry for him as he is for her. The whole dynamic is different in the show, where Jaime has been back for weeks at the least, maybe longer, and he and Cersei have been in each other's company on numerous occasions, often quarreling. The setting is the same, but neither character is in the same place as in the books, which may be why Dan & David played the sept out differently. But that's just my surmise; we never discussed this scene, to the best of my recollection. Also, I was writing the scene from Jaime's POV, so the reader is inside his head, hearing his thoughts. On the TV show, the camera is necessarily external. You don't know what anyone is thinking or feeling, just what they are saying and doing. If the show had retained some of Cersei's dialogue from the books, it might have left a somewhat different impression -- but that dialogue was very much shaped by the circumstances of the books, delivered by a woman who is seeing her lover again for the first time after a long while apart during which she feared he was dead. I am not sure it would have worked with the new timeline. That's really all I can say on this issue. The scene was always intended to be disturbing... but I do regret if it has disturbed people for the wrong reasons. Now, if you please, I'd appreciate it if we could get back to Junot Diaz and Anne Perry and the subjects of the original post. Thank you very very much for your answer Mr, that's make it clearer for me. And sorry for the inapproriate place of my question. Off topic,but i love you George! Thank you for taking the time to answer this! You are a wonderful man!